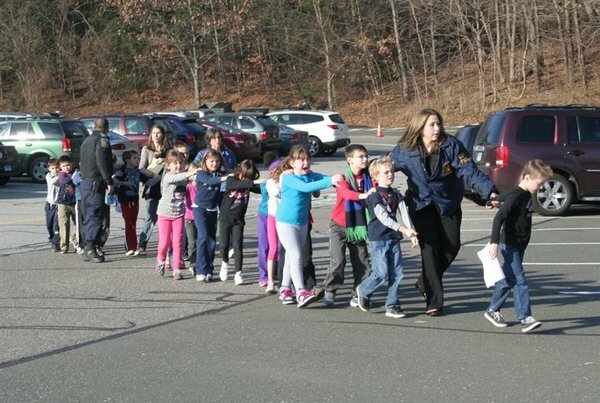 It is another day in America, and that means another violent mass shooting event — this time at an elementary school in Connecticut. Reports are sketchy at this point, but NBC News is reporting 26 dead including 18 children, but these numbers are likely to change. We won’t even get through the day without hearing gun-toting right-wing nut-jobs say if only the teachers were armed, the scale of this event could have been minimized. I don’t know how you reason with people who clearly have a cognitive disability. Proposing more violence as a solution to violence is not the result of sound logic and reason. I know limits on the types of guns and ammo people can buy will not end these mass shooting events, but I also know that our culture of guns and violence needs a course correction. When the prevailing response to these events is shock and horror followed by an overwhelming response of “now is not the time to talk about gun control,” it’s time to reassess our priorities. Because in a country that cares about solving problems constructively, we shouldn’t try to diminish speech, we should do what we can to enhance it. The First Amendment comes before the Second Amendment. And when gun violence of this scale is not met with an overwhelming sense to at least start a conversation, and I mean from the highest levels (yes, that means President Obama), then we are doomed to keep repeating ourselves. Another day, another mass shooting event met with shock and horror and then nothing.